Juice Goose iP PD1-4 | 80 Amp 8 Outlet Power Controller by Juice Goose at Pacs BG. MPN: iP PD1-4. Hurry! Limited time offer. Offer valid only while supplies last. The Juice Goose iP PD1-4 provides web based control and monitoring for four separate twenty amp circuits (eighty amps total) in a single chassis. 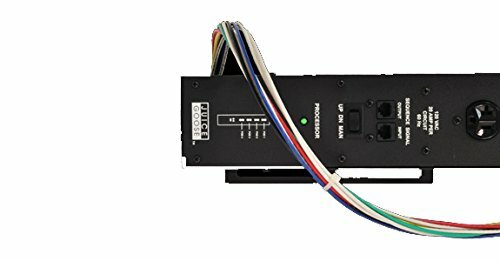 The Juice Goose iP PD1-4 provides web based control and monitoring for four separate twenty amp circuits (eighty amps total) in a single chassis. This microcontroller based power distribution device that can be accessed via internet or intranet communications using Ethernet based HTML, TCP or UDP communications. It also has RS232 connectivity. With this remote access, four individual circuits can be turned on and off and monitored for electrical current (amperage). Current draw can be monitored from 0.2 to 20.0 amps per power POD. The iP PD1-4 can be controlled by the on board web server graphic interface that can be accessed by any web browser. It can also be remote controlled by TCP, UDP or RS232 connection to commercial or proprietary control systems.